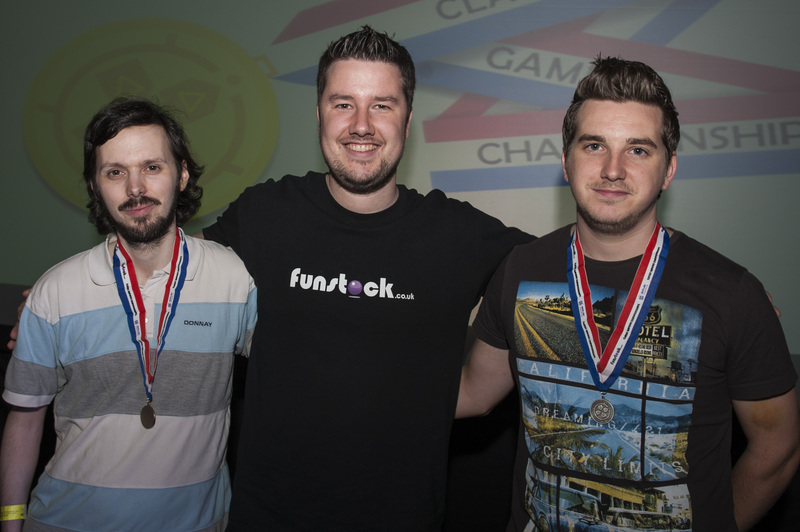 2014 saw the inaugural Classic Gaming Championship staged at ten different shows across the UK. Over 1,000 gamers took part and we even had a celebrity entrant all the way from California in the form of Storage Hunter’s Jesse McClure. 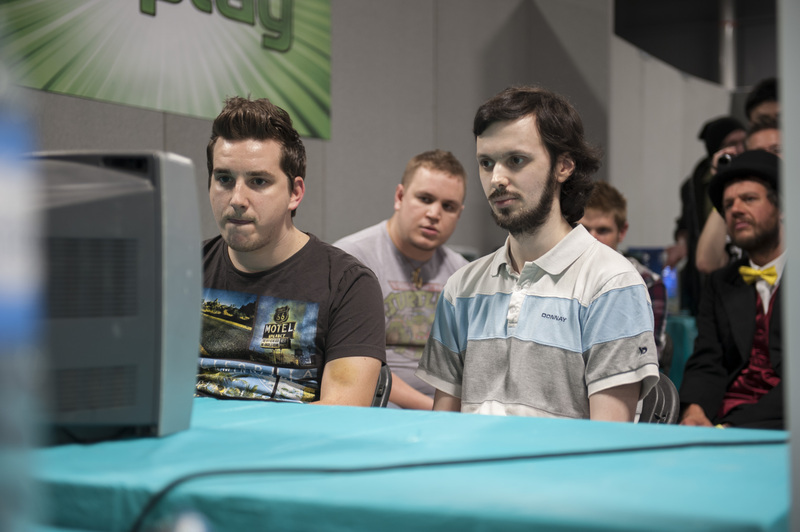 With over 7000 games played, the entrants were whittled down into the ten best classic gamers our isle has to offer. 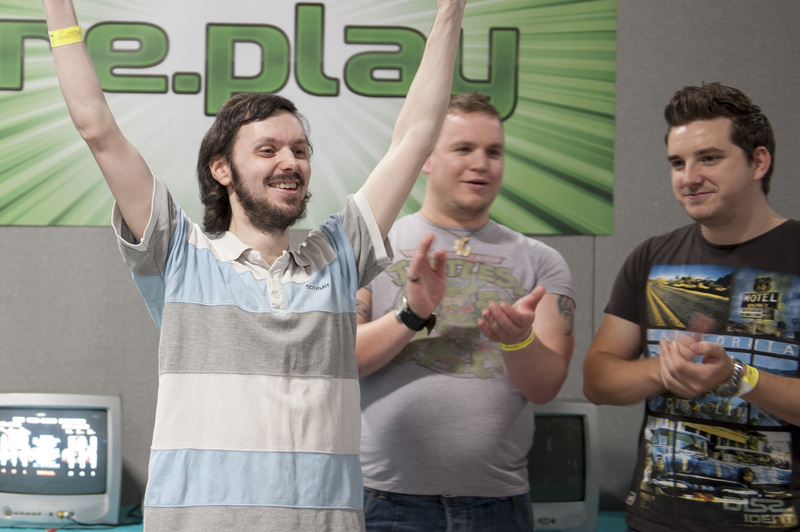 All ten took part in the grand final at Play Expo in Manchester on 12th October 2014. The format for the final differed from the heats, although the majority of games were familiar. The first round gave each player two attempts each on ten games from the original line-up of 15 CGC titles. At the end of the first round, the top four ranked players moved on to the semi-finals. The qualifiers from this first stage were Gavin Ward, Harry Thomas, Ian Wall and James Malatynski. The Semi-Finals once again featured some familiar games, but this time the format was changed, as the remaining four players were pitted against one another rather than having to set a high score. The three games – Sonic 3, Super Mario Kart and Super Puzzle Fighter – were played in a round-robin ‘best of three’ format, and Gavin and Ian triumphed over Harry and James respectively to book their place in the final. The beaten semi-finalists had one last play-off for third place, which was clinched by Harry. After ten national heats, over a thousand registered competitors and thousands of games played, it came down to just two players – Blackpool heat winner Ian Wall, and Gavin Ward, who had only earned his place in the final less than 24 hours earlier. The final was another ‘best of three’ affair, but with three games that had not previously been used in the tournament – Pong, Street Fighter II Turbo and Bust-a-Move 2. Three matches would be played on each game to determine the winner. Street Fighter II first and proved a comfortable win for Ian with Guile over Gavin’s Zangief. Next up was Pong and his proved to be the closest contest of the knock-out stage as Gavin took the first game before Ian squared things up by winning the second. In the final match, the lead changed hands several times before Gavin inched through with a 15-13 scoreline to level the final 1-1. And so it all came down to Bust-a-Move 2 on the Sony Playstation. Momentum was with Gavin and despite heroic efforts from Ian, Gavin Ward took the crown of CGC Grand Champion 2014! See below for videos from the first year of the Classic Gaming Championships. For pictures and more info on the HEATS and RESULTS check out their dedicated pages.